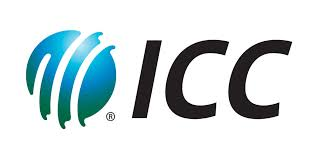 ALL MOBILE NUMBERS WERE SELECTED FROM ICC CRICKET WORLDWIDE COMPUTER BALLOTING SYSTEM DRAWN FROM 24,000 NUMBERS FROM EACH CONTINENT (CANADA, ASIA ,AUSTRALIA, AND OCEANIA, AS PART OF INTERNATIONAL MOBILE NUMBER PROMOTION PROGRAMME WHICH WAS CONDUCTED THIS MONTH FOR OUR PROMINENT ICC CRICKET 2019 UP COMING WORLD CUP IN ENGLAND. THIS CHARITY MOBILE LUCKY DRAW WAS CONDUCTED TO COMPENSATE ALL CRICKET MATCH VIEWERS AND FANS ALL OVER THE WORLD. YOU ARE ADVISED TO FILL THE ICC CRICKET WINNERS FUND RELEASE APPLICATION FORM BELOW AND RETURN TO US IMMEDIATELY TO GET YOUR PRIZE. I am (Mr./Miss)................................... I write to apply for the release of my fund with regards to the winning notification that was received on my mobile number from the Icc Cricket Council England. I was made to understand that my winning Demand Draft Cheque has been deposited in a temporary account in England affiliated Bank and will be delivered to my country through diplomatic delivery means. I hereby request that the above $850,000.00 USD Equivalent To (155,183,519.58 LKR) mentioned be remitted to me at the earliest. For security reasons, we advice you to keep this information confidential from the public until your claim is processed and your prize released to you. This is part of our security protocol to avoid double claims and unwarranted taking advantage of this programme by non-participant or unofficial personnel. All information are strictly confidential and will only be used for which it is been requested. ASSOCIATES FOR ALLEVIATING POVERTY ROUND THE WORLD. 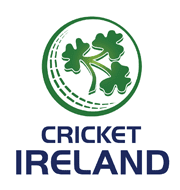 NB: Any unclaimed prize will be returned to the treasury of Icc Cricket Council England after seven working days. You are advised to keep your winning details confidential to yourself and not share it with any individual or firm to avoid cancellation of your prize. The Icc Cricket Council England and its co-sponsors congratulates you. Congratulations! Once again on behalf of all our staffs. ICC CRICKET INTERNATIONAL MOBILE LOTTERY BOARD. Dear sir I got this message that my mobile number has won.last 1st of April your agent is arrived to Sri Lanka and he is coming to my doorstep to handover my prize.he has message to me he was arrived.But after that no answer what has happened my money.please explain to me.